Please do not judge my amateur video editing skills... I totally plan to practice and get better in this area, but for now...well, ok, you can laugh. The POINT of this video is to show you how easy it is to apply the 3D Fiber Lashes (mascara) that I mentioned last week here! I got some questions about it and wanted to show you just how easy it is. You can do while child wrangling and all, as you will see in the video below. But first - are these not awesome before and after results? Bare (nonexistent) lashes to wow lashes with the help of 3D Fiber Lashes. Another popular question I got - how do you get these off? Well, same way you get your regular mascara off - good ol' fashion make-up remover, or if you're like me, just simple face wash! But the good news is they don't come off too easily, like during the day, not even during a work out! I don't have any smudging issues, but also don't have to scrub them off at night, either! 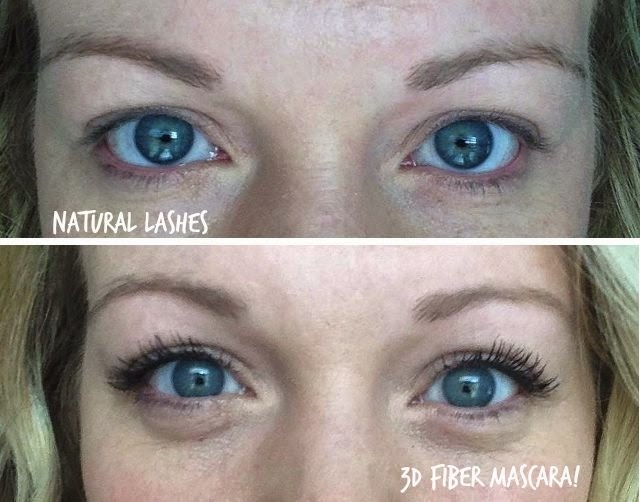 Now, for 3 more days only, you can purchase this 3D Fiber Lash Mascara right here! I'm temporarily hosting this little pop up party and can't wait for you all to try it out and tell me what you think (better yet - post pics!). P.S. this is NOT a sponsored post! I purchased this mascara on a whim myself and loved it that I signed up to temporarily host a "party" so that all my friends could get it, too!